Among those who proudly and bravely serve in our army, there is a select group whose skill and prowess has no match. A group so classified and top secret that we have only whispers of their name. They are the best of the best, the ones who train harder, move faster, and fight better than anyone. They are... The Delta Force! Picture an explosion here! Kids don't just want to be boring old soldiers anymore. They want to be something more. They want to be Special Ops on the war on terror. While Joint Special Operations Command (JSOC) might be looking for a few good men, they should be looking for a few good kids, because those kids will become the warriors of tomorrow. 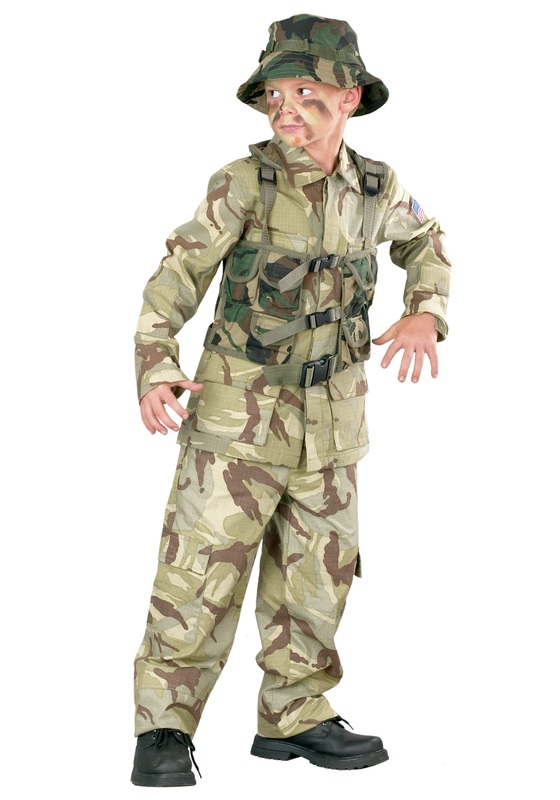 Now your child can live out all the secret special operations his imagination can come up with. Stealthily getting cookies without mom seeing? Time to call in the Delta Force. Need to get back at your brother for stealing your favorite toy? Looks like it's Delta Force. Making sure the neighborhood is safe from all threats, both foreign and domestic? Delta Force! Put your kid in this and watch as he stands taller, walks straighter, and carries himself with the authority of someone who knows. What do they know? Ma'am, we're afraid that's classified. Just trust us that they know and they're doing everything they can. That's the true measure of a Delta Force soldier. They just don't quit, and neither does your kid. Time to go to work, solider. Ten-hut!